This lovely perennial, commonly known as 'Lily of the Valley' is long-lived, even in dense shade. The delicate and intensely fragrant small bell-shaped blooms make wonderful cut flowers that can perfume an entire room. Foliage is medium to dark green, and is seldom bothered by any pests as the plant is poisonous. It makes a terrific ground cover, especially in shady areas. Sold as planting pips. 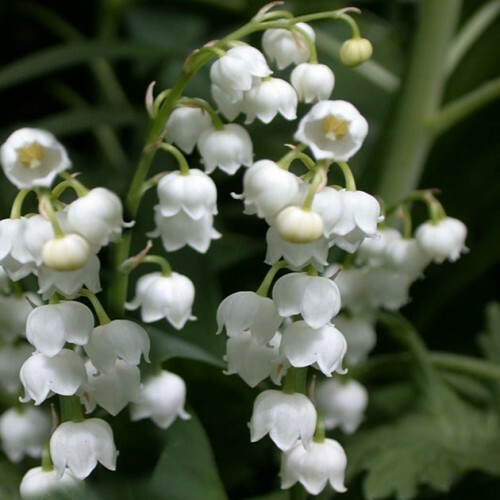 Watch the Botanus Garden Club video about Ground Covers including Convallaria majalis!